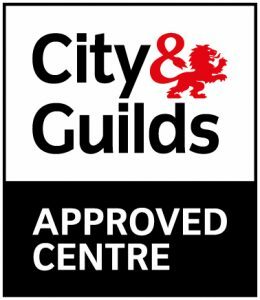 At the beginning of this year Nottingham Bikeworks was proud to be made an official centre for City and Guilds accredited bike mechanic courses. We can now offer 3 courses: Entry Level 3 suitable for those with little or no experience; the more advanced Level 1; and finally Level 2, a ten-day course which is a recognised professional, industry standard qualification. Anyone already working in the cycle industry who wants a recognised qualification, those looking to take a significant step to joining the trade or home mechanics eager to take their skills to the next level. Day 1 Induction and workshop rules,.Health & Safety Procedures,. British & European Standards for Bicycles. Repair a cycle puncture on rear wheel derailleur bike. Tyres and tubes. Day 2 Remove, assess and refit a rim brake assembly (V-brakes, canti and dual pivot plus replacing cables). Also basic set up and maintenance of cable operated and hydraulic disc brakes (this is not assessed). Day 3 Remove, service and refit complete derailleur gear system. Includes chain, cassette/freewheel, crankset, shifters and cables. Day 4 Remove, service and refit wheel hub bearings, freehubs, loose and cartridge bearings. Day 5 Remove, service and refit bottom brackets: adjustable, cartridge and external. Facing and chasing of bottom bracket shells. Day 6 Remove, service and replace headset assemblies: quill and ahead. Facing and Reaming of the headtube. Day 7 Building a cycle wheel: lacing and truing, theory and practice. Day 8 Build a cycle wheel: recap theory, practice then assessment. Day 10 Change a cycle frame: strip a bike to its bare frame and then rebuild and adjust. Each topic will be assessed as we go along. On successful completion of all sections, you will be awarded a City & Guilds Level 2 Certificate in Cycle Mechanics (3902-28). All days run from 9.00am to 5pm. To book your place email admin@nottinghanmbikeworks.org.uk marking it C&G Level 2. We will then send you our payment details for BACS. Bookings more than 4 weeks in advance can be secured with a non-refundable £200 deposit. The balance is due 4 weeks before the course start date. Bookings are subject to our standard Terms & Conditions. You will be based in The Raleigh Community Workshop, part of our premises in an old Victorian Mill, light and spacious, warm in winter cool in summer. Each student will have the sole use of a fully equipped workstation and workstand plus all our professional bikeshop tooling and supplies. We aim to create a friendly and comfortable atmosphere where everyone feels relaxed. Free refreshments are available throughout the day, and we also lay on a hot, home-cooked vegetarian lunch everyday. The ‘bike-shop’ part of the premises (refurbished bike sales, repairs and parts) are open to the public so you may also rub shoulders with a few of our regular customers. Just yourself and a willingness to learn. We will supply everything else: aprons, gloves, bikes to work on, comprehensive digital teaching notes and all tools and parts. You will also get a free copy of the Park Tool Big Blue Book of Bicycle Repair to take away.